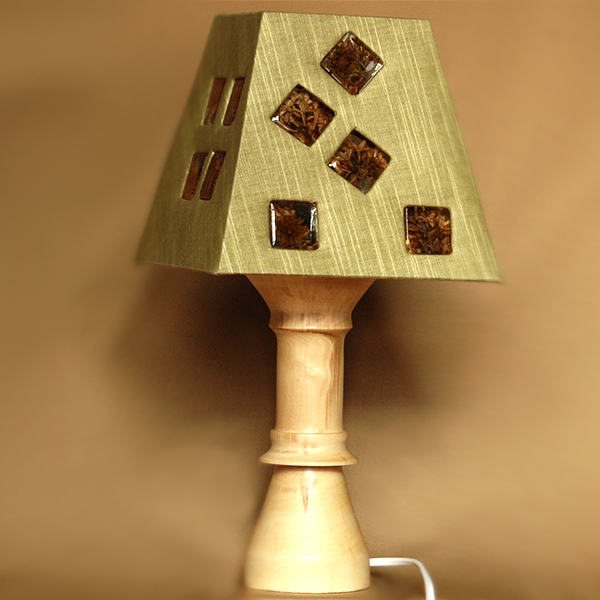 Handmade lamp with base of natural poplar wood and original insertions of jewelry resin with dried flowers. Resin allows the light through, making the space brighter. Brightness regulation available with a dimmer. Suitable as a gift or an interior decoration.